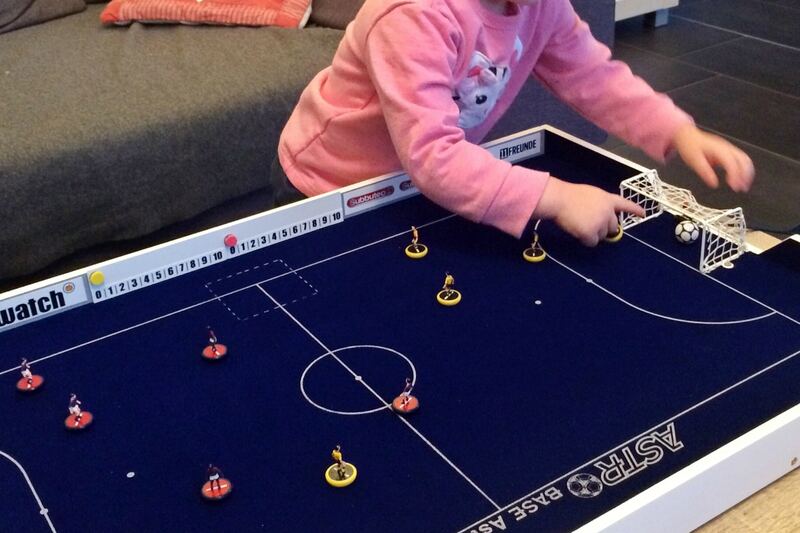 On Christmas Eve, our daughters found this handy Subbuteo pitch under the Christmas tree. What a surprise: Finally, they got a small 5-a-side pitch and were able to reach every spot on the field for the very first time. Thanks, Santa! That’s the 5-a-side pitch I bought from Astrobase/Italy. 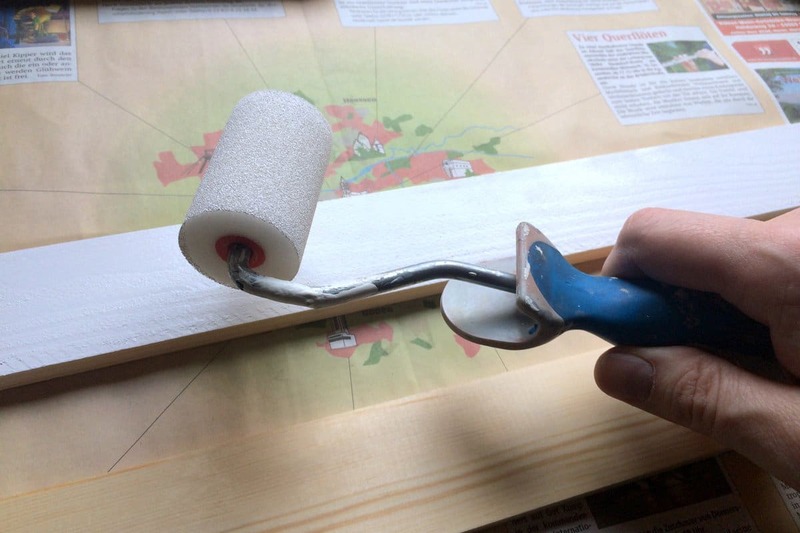 Unfortunately, it didn’t come with a sticky back so I had to use a spray adhesive to mount it on the board. 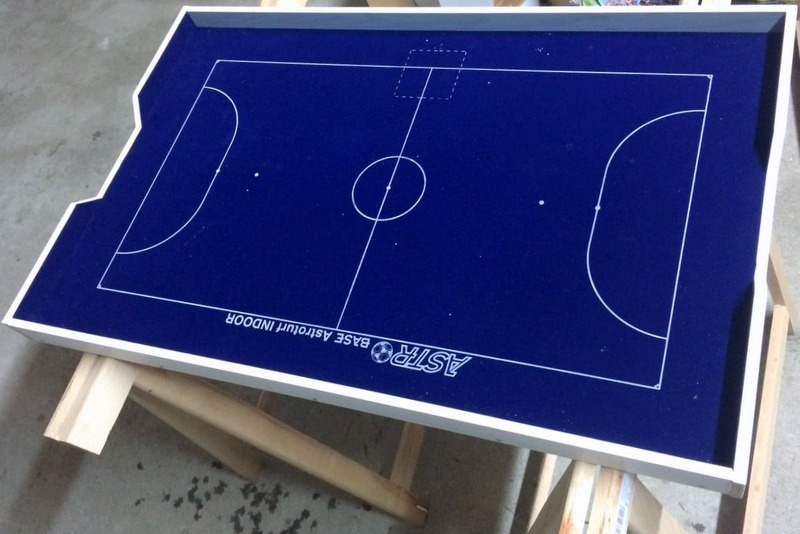 The dimensions of the playing area are 44 x 74 cm. 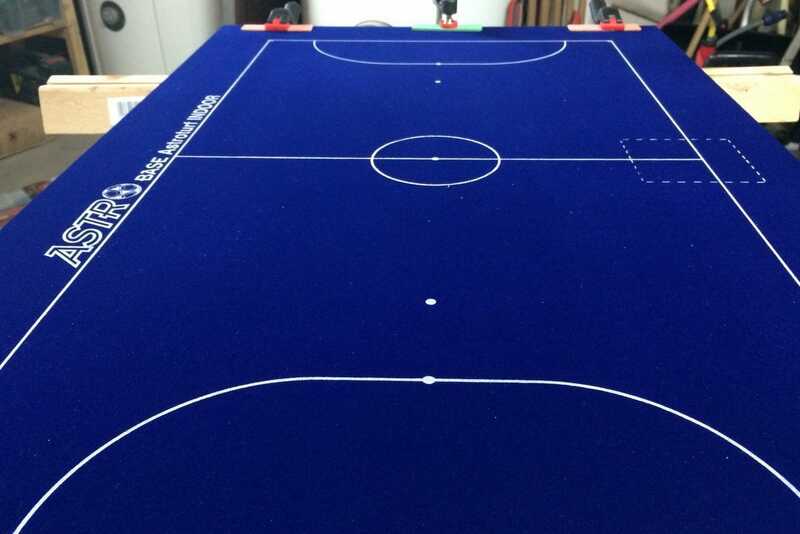 The whole pitch measures 50 x 90 cm. 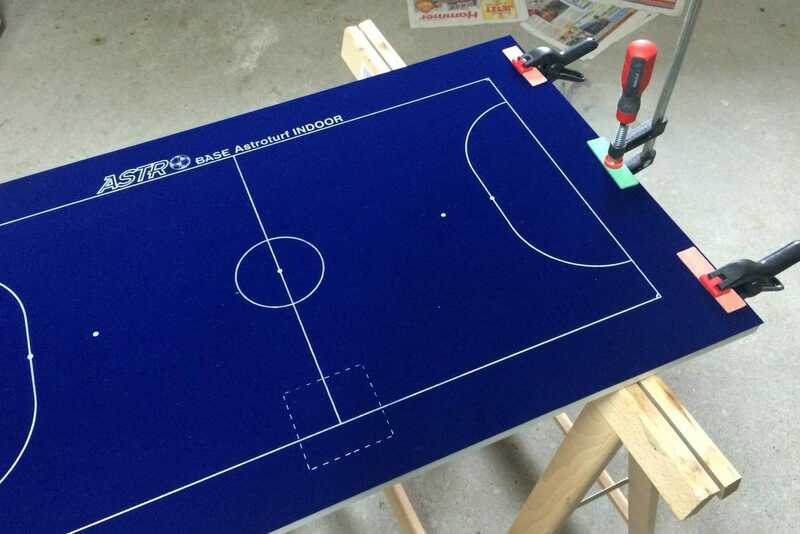 So you know what size your MDF board should be at least. 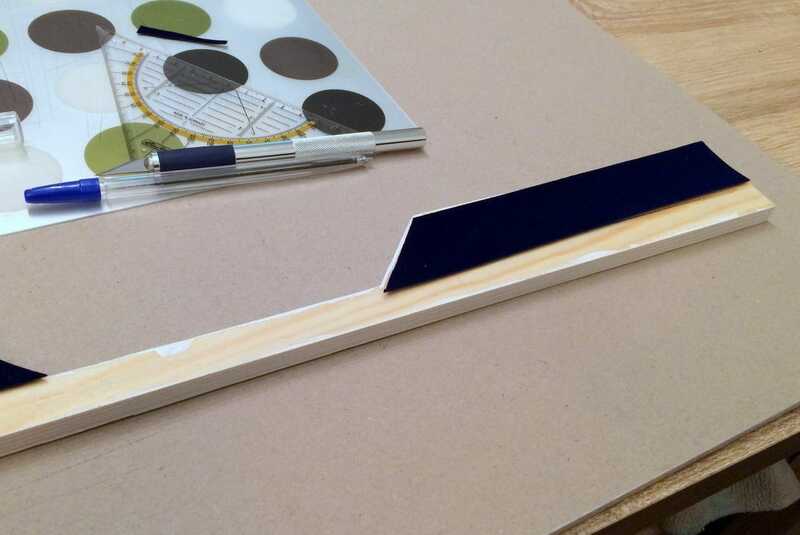 … and left out some space on both goal sides to handle the goalies‘ rods. I fixed some self-adhesive velours film on both goal side barriers. Your players will be thankful for this protection! 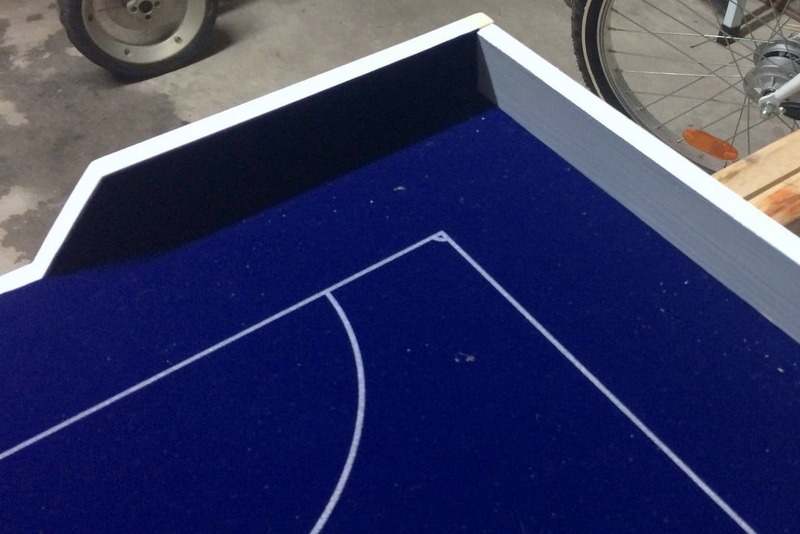 Almost ready: Our 5-a-side Subbuteo pitch, still without the two metal goals that where included in the set. 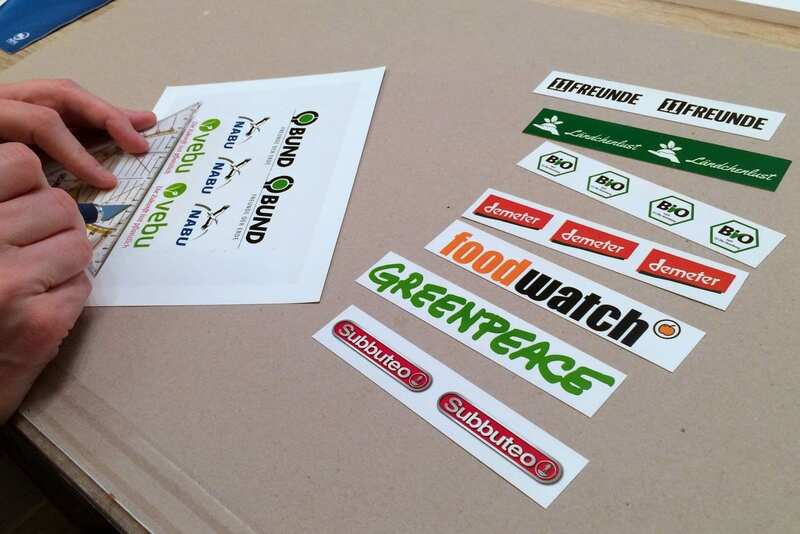 This time, I designed my own ad labels and printed them on photo paper. Well, this is the day after Christmas Eve. Our youngest one has just occupied the 5-a-side pitch. What a fun! P.S. : Don’t miss the magentic scoring board I created.